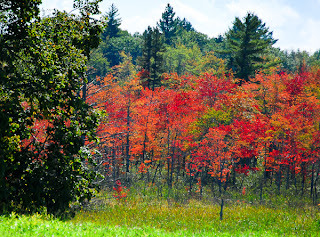 This was taken in the Kokadjo area of Maine, close to Moosehead Lake. Fall colors were stunning in Maine and New Hampshire, Vermont and Massachusetts were lagging behind a little. The moose were out for rut and were not disappointed seeing a large bull in the distance with the gorgeous scenery behind.